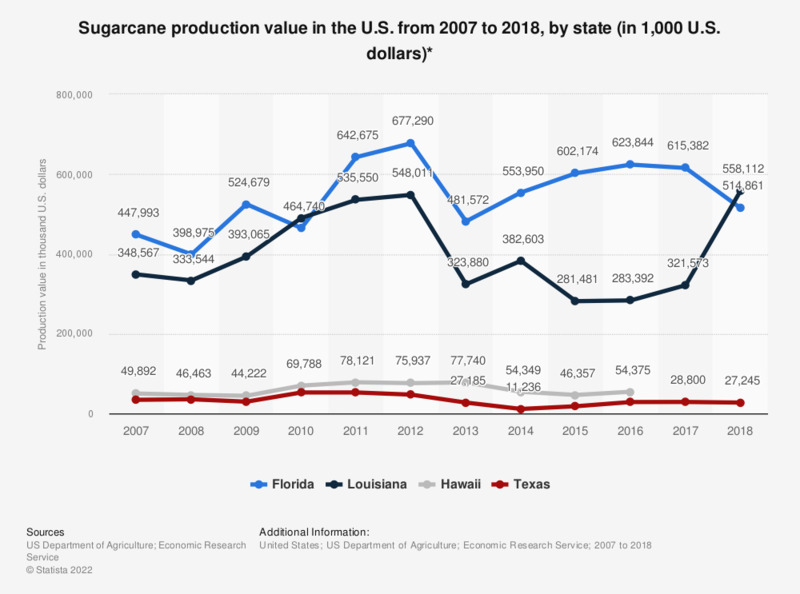 This statistic shows the total sugarcane production value in the U.S. from 2007 to 2016, by state. In 2014, Florida produced sugarcane worth some 553.95 million U.S. dollars. * Sugarcane produced for sugar and seed. Price per ton of cane for sugar used in evaluating value of production for seed.